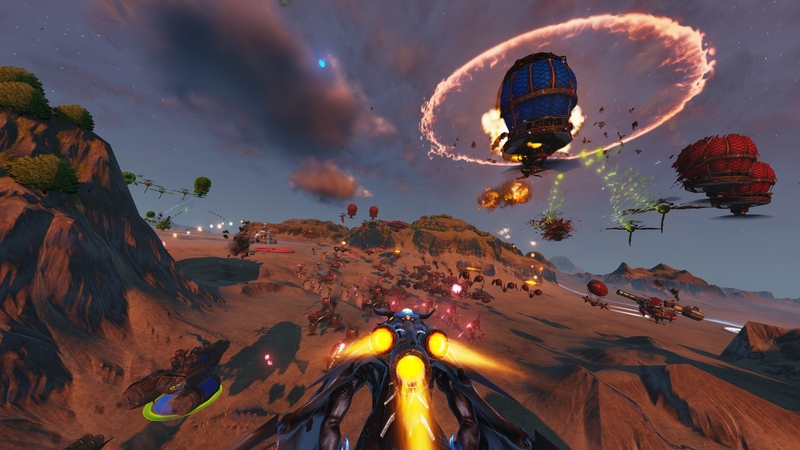 I hope you enjoy this review, because the forces of fate and nature seemed to conspire against our intrepid reviewers in our attempts to put this game through its paces. 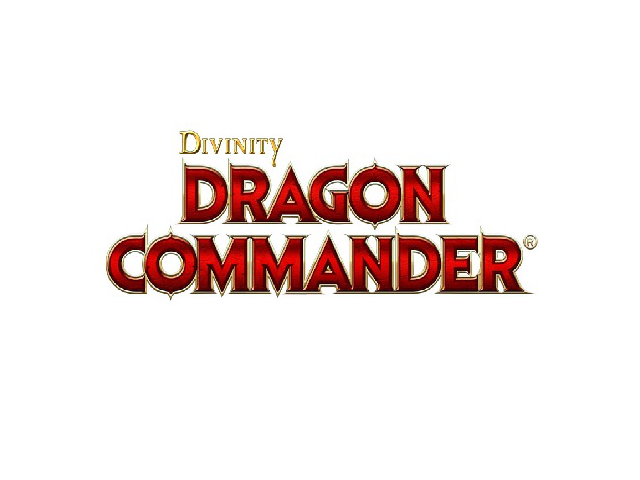 But against all odds, we have persevered to bring to you our thoughts on Divinity: Dragon Commander, a multi-genre hybrid game from the good folks at Larian. I’d be lying if I said the visuals of the game didn’t instantly seize my attention. 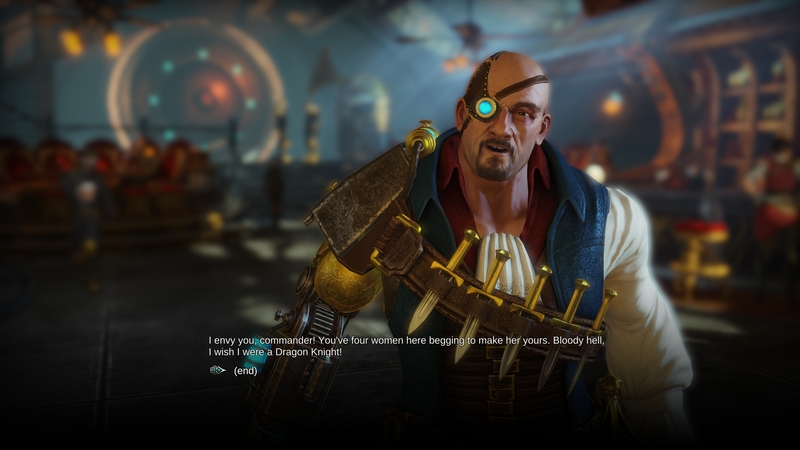 Particularly with things like Game of Thrones still guiding the public’s interpretations of what to expect from fantasy, I would have expected a fair amount of grimdark and glum, but those words don’t belong anywhere near Dragon Commander. The graphics are vibrant and colorful, dripping with personality and oozing with style regardless of what aspect of the game you’re experiencing. 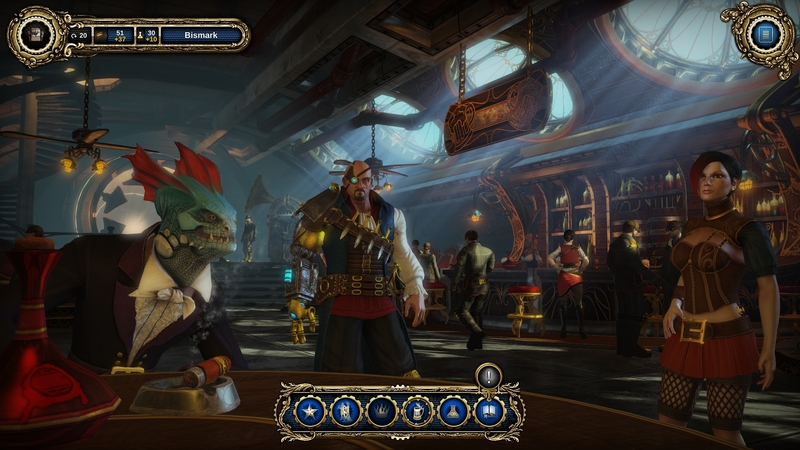 The press materials compare it to Risk, and while that will be borne out more in the gameplay section, the board game roots are alive and well in the visuals, with things like symbolic maps and hand-painted figurines making a strong appearance in the strategic layer. The graphics really shine once you decide to take a more hands on approach to the war effort. 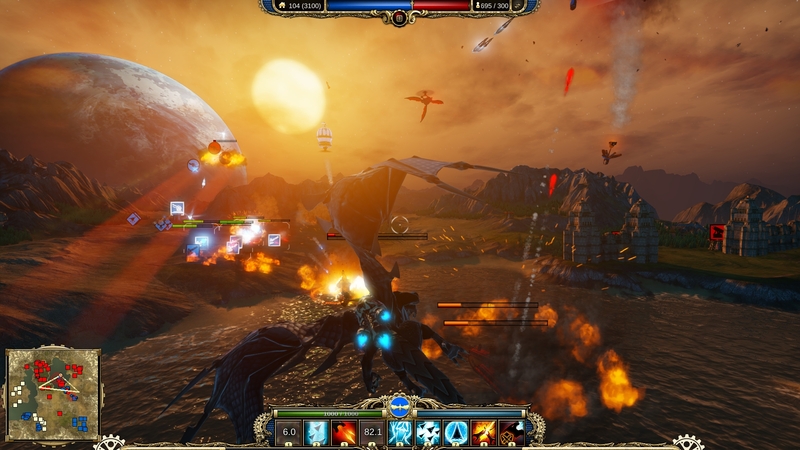 Putting a dragon in the game is usually enough to tack a few points onto your score when I’m the reviewer. Strapping a jet pack onto that dragon and sending him sweeping over a rolling, detailed fantasy countryside dodging lances of energy and raining doom on legions of technicolor soldiers just seems like cheating. 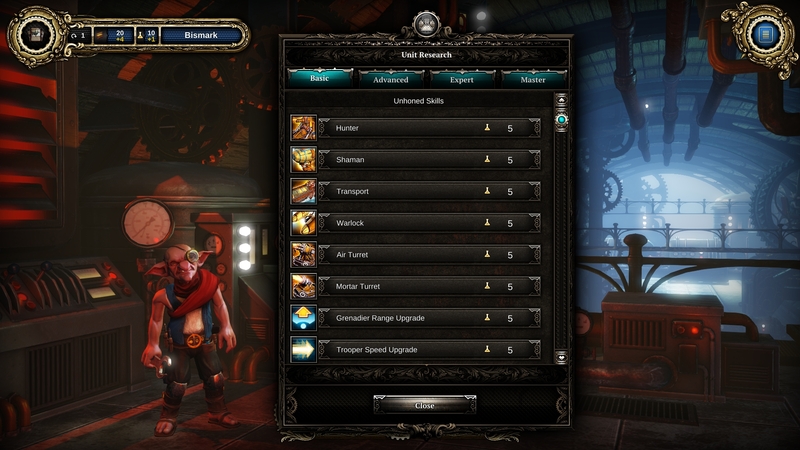 Everything in the game is unique and lively, with the machinery having a distinctively steampunk feel. At times the screen can feel a little cluttered, particularly regarding the health bars associated with each unit, but if it comes down to putting too much cool stuff on the screen or not enough, I say err on the side of overindulgence. Where do I start? I suppose, if you really needed to shoehorn this game into a genre, it would be RTS. After all, you’re commanding armies, managing troop production, juggling resources, and balancing research. And if you measure the game by strictly RTS standards, it is fair to say that it is a little thin in that regard. Games like Supreme Commander 2 (which stands as my current standard against which all other RTSs are to be measured) have a strong, almost paralyzing focus on micromanagement. People seeking a game that requires that level of nuance in the RTS aspect might be disappointed. I, on the other hand, was quite pleased. While I consider SupCom to be the gold standard, I never said I was very good at it. I was able to get by quite well in Divinity by focusing on overpowering my enemy with sheer force of numbers. The goal is to capture the enemy’s base, after all. What better way than by hammering them into the ground with a horde of troops? I’m getting ahead of myself though. Before you can even start overwhelming the enemy, you need to plan things out. That’s the Risk part of the game. 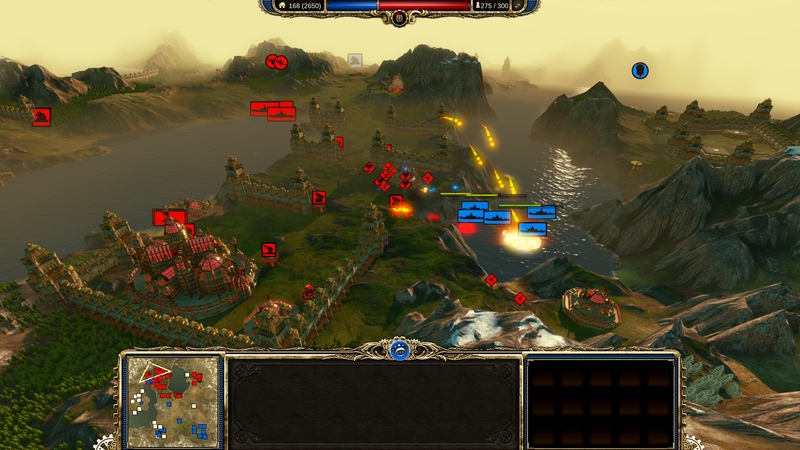 You stare down at the map from above, placing and moving armies in a familiar game board format. It is at this phase that another genre makes its own contributions. 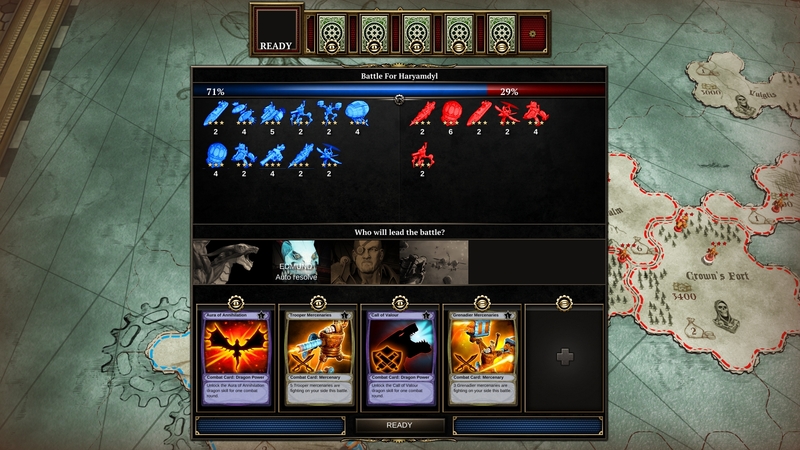 You are able to accumulate and play cards (which have a very Magic The Gathering vibe to them) to heap on some combat bonuses or hamstring your enemies. For what its worth, when I lost games, it was usually because I didn’t handle this phase properly. Back to the battles. 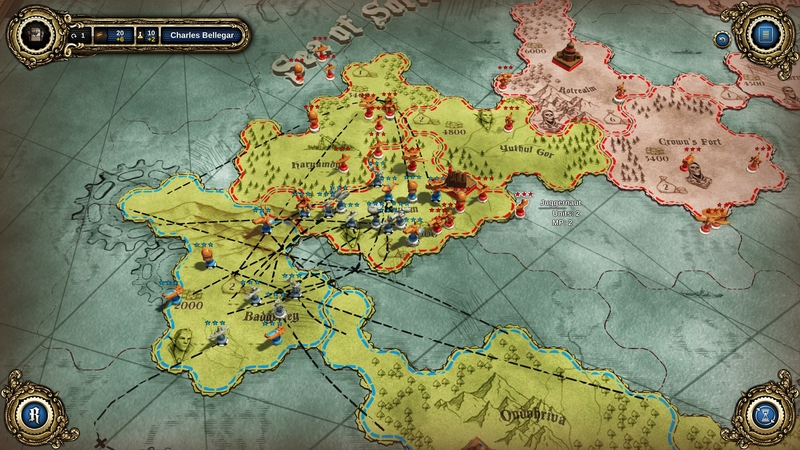 Let’s say you’ve got a stalemate going on, as so often happens in both RTS games and Risk-type TBS games. What do you do then? Well, when things didn’t go my way, that’s when the split personality of Divinity started to really show its zanier side. Enter the (jetpack-wearing) dragon. 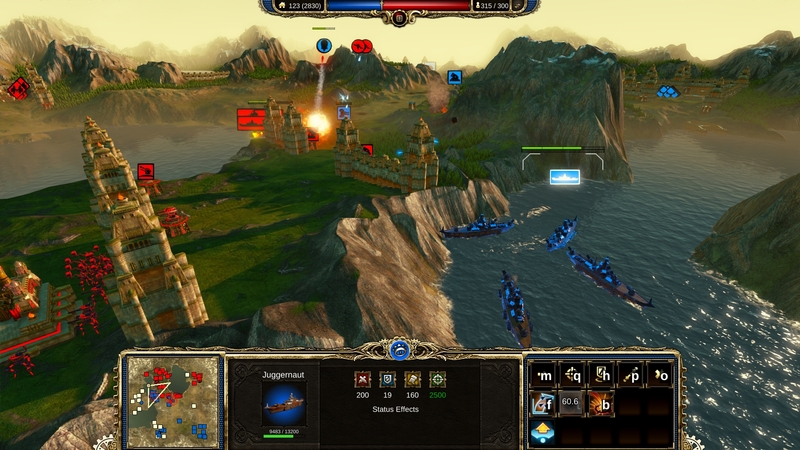 Suddenly your RTS is a shmup, allowing you to strafe and bombard troops directly. 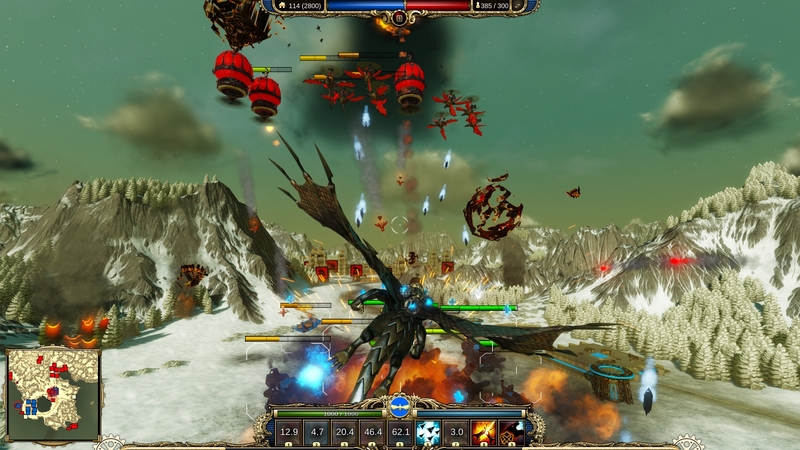 It reminded me a bit of the Brutal Legend school of RTS, both in that it is loads of fun and potentially an effective technique to tear up the enemy yourself, and in that while you’re rampaging, troop production and other command decisions aren’t being handled. Balance is necessary to achieve victory. Heaped onto this already heady mound of gaming goodness is a surprisingly meaningful choice system that affects your ability to fight and produce troops. You’ve got to keep the people of your empire happy, and thus must make policy decisions to suit their tastes or you’ll miss out on valuable bonuses or face painful penalties. The music was good, but what really sold me on the audio of this game was the voice work. In a game already dense with personality, it takes a special cast of voice people to bring the characters to life, and in this area, D:DC did not disappoint. The characters are well cast, and put forth performances that firmly defined a variety of different archetypes and sprinkled humor into every nook and cranny of the story. Though there are some unique elements to the setting, the story isn’t exactly revolutionary. You are a half-dragon emperor, and your father has recently died, threatening your land with chaos. Your siblings don’t have the best interests of the land at heart, more interested in satisfying their own greed then restoring peace and prosperity. And so you set out on a campaign to save the empire. What makes this story unique, though, are the characters. Wizards, diplomats, generals, advisers; all around you there are distinctive and well-written characters trying to influence you. 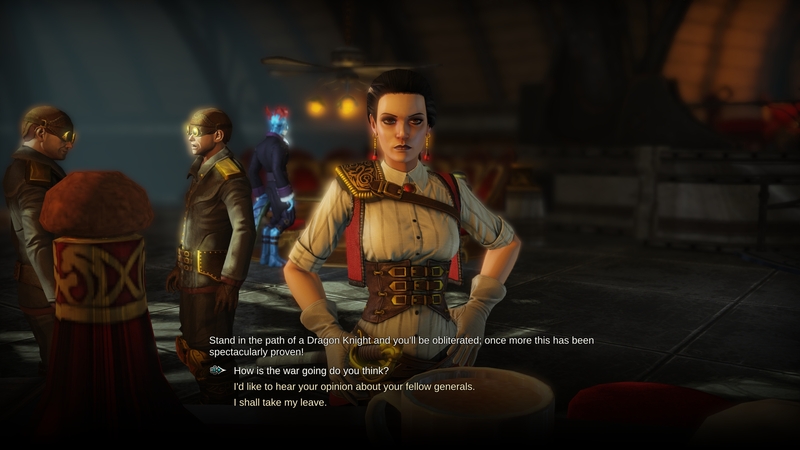 Perhaps most impressively, I found myself paying attention to what they had to say not just because they were giving me clues to how best to play the game, but because they were interesting, revealing aspects to the setting and to their personalities that I genuinely enjoyed. 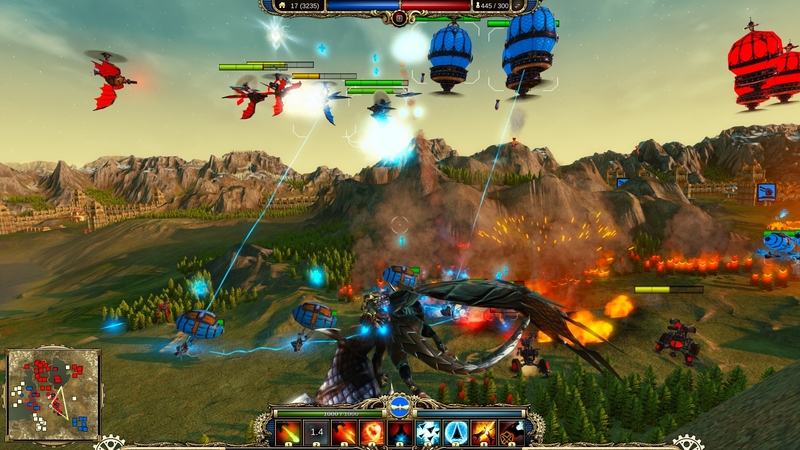 Divinity: Dragon Commander is a shotgun of a game. It blasts you with elements from half a dozen different genres and somehow manages to fuse them into a solid and engaging gameplay experience. Not every aspect plays off flawlessly, but the core of the game is solid, and the art and writing are more than enough to make even the roughest mechanics go down smooth. 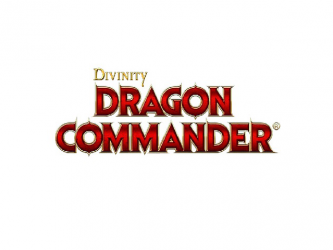 8.1 / 10: Divinity: Dragon Commander jumbles together an assortment of enjoyable gametypes, and in those places where it falls short, personality and audacity make up for it.